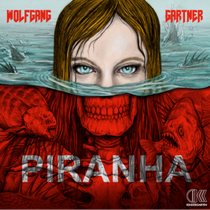 Hot off the heels of his fall/autumn Hounds of Hell Tour with Tommy Trash, Wolfgang Garner gets set to release ‘Piranha’ on December 17 on his own imprint, Kindergarten Recordings. Over the course of his short, but explosive career Wolfgang has garnered a Grammy nomination, eight straight #1 singles on Beatport, many high profile festival plays around the world (Coachella, Electric Daisy Carnival, Lollapalooza, Parklife, and many more), and a debut full length that featured tracks ‘Illmerica’ and ‘Space Junk’. With collaborations with Deadmau5 and Skrillex and the reigniting of his label, Kindergarten Recordings, he is unleashing a new crop of talent that will look to make their mark for years to come. Check the track below.